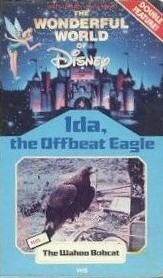 Ida, the Offbeat Eagle (television) Television show; aired on January 10, 1965. In Idaho’s Snake River Valley, a hermit nurses an injured eagle back to life, and the grateful eagle does not forget this. Eventually she is called upon to save the hermit. Stars Clifton E. Carver.